Chenotheca furfuracea ("sulphur stubble lichen") on sandy soil, just north of San Francisco, California. These stalks are only a few millimeters tall. 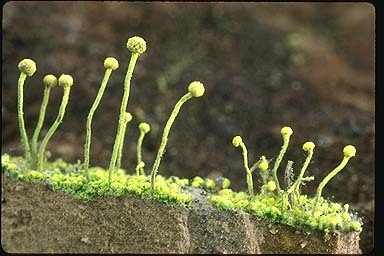 Related tiny lichens are used as indicators of undisturbed ecosystems.